Steelhead trout is very similar to salmon and can be cooked in the same ways. Atlantic salmon, Pacific salmon, trout and char all form one large family of interconnected species. For example, steelhead trout are genetically the same fish as rainbow trout, but live in the sea and only return to fresh water to spawn. They're closely related to Pacific salmon, but unlike their cousins they don't die after spawning. Instead, like Atlantic salmon, they return to their native streams year after year at spawning time. Steelhead share salmon's firm texture and rich color and flavor, so they can be cooked in the same ways. 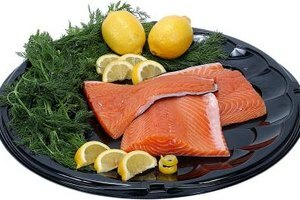 Season steelhead steaks or boneless fillet portions, and brush or spray them with oil. Grill them over gas or charcoal until they're just opaque in the thickest portion of the cut. Bake whole fillets in a preheated oven at 375 to 400 degrees Fahrenheit for 20 to 25 minutes, until just done. Cut fillet portions can be baked at temperatures of up to 425 F for 12 to 15 minutes, because they expose more surface area to the oven's heat. Poach individual portions of steelhead in a flavorful liquid made by boiling water with white wine, wine vinegar, onions or shallots, whole peppercorns, a sprig of thyme and a few slices of lemon. Strain the solids from the poaching liquid, place it in a shallow pan, and simmer the steelhead gently until it's cooked through. 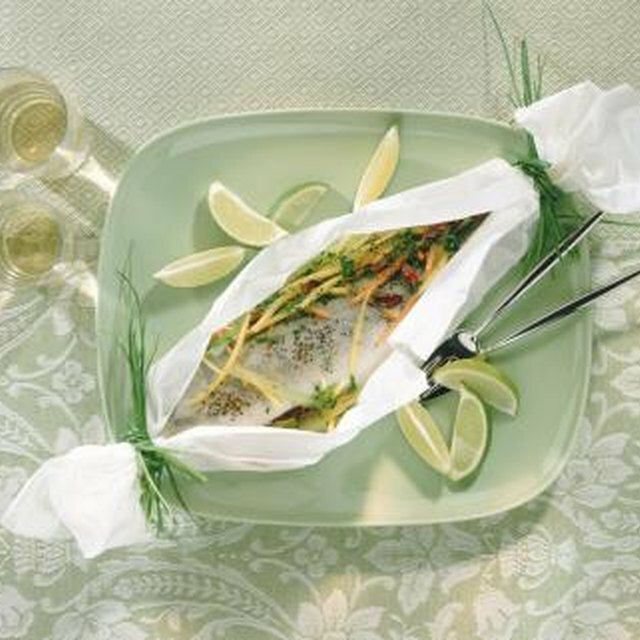 Place individual portions of steelhead on sheets of parchment paper, 12 to 15 inches square. Season the portions and add a splash of wine, a small piece of cold butter or fresh herbs to taste. Roll the edges of the parchment, sealing the steelhead inside and forming a pouch. Bake the pouches at 400 F for 15 minutes. The steelhead steams in its own juices inside the parchment enclosure. Dredge the steelhead fillets in flour that's well seasoned with salt and pepper, and shake off any excess. Place the portions in a hot, lightly oiled skillet with the skin side facing up. When the first surface is golden, flip the fillets so the skin side is down. The fillets are done when the skin is crisp and the thickest portion of the fillet is opaque in the middle. An Internet search for steelhead recipes turns up relatively few hits, but there are tens of millions for salmon. Steelhead can successfully be substituted for salmon in any of those recipes.